Olive green and red eyes make the bird look like it has something relate to theater . These birds sing during the day but more in the early morning and late evening. 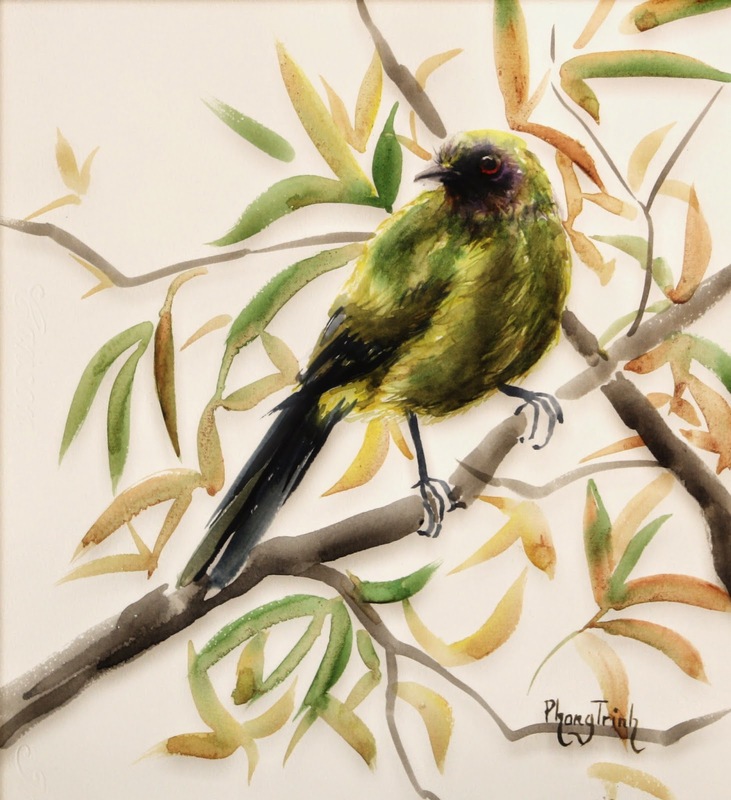 Bellbird song consists of three distinct sounds similar to the sound of chiming bells. Beautiful and delightful sounds, maybe that' the reason for the name "Bellbird". First wash was on the general shape of the bird. then I focused on the eye with initial orange then crimson red. Then I moved on to the body. After the body I moved back to add depth and highlight on the eye. It was a run around marathon. Then I left it to dry. When I looked back at the painting, I had a bit of a startle. The eye looked straight at me. I felt like to hold the bird in my hand! The eye haunted me for days!